The Park Smart® Hanging Door Guard is the ideal preventative measure against chipping and denting of your car's doors. The unique design cushions the impact of the car door to protect both cars from damage. 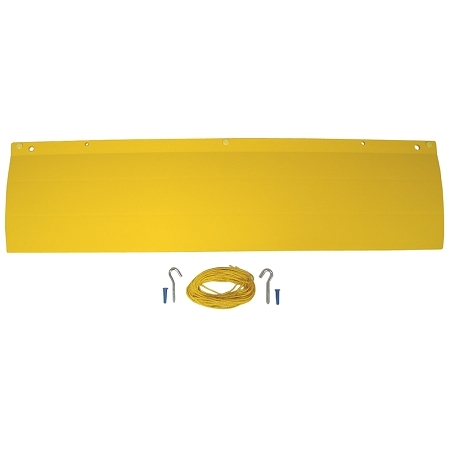 This durable, yellow rubber-like pad comes complete with string, hooks and anchors to install to wood rafters or drywall ceilings. Comes with a Lifetime Warranty.